A new guideline published recently by the Standards of Care Committee of the British Society for Allergy & Clinical Immunology (BSACI) aims to bring together the latest science in order to improve the diagnosis and management of peanut and tree nut allergy. ​Oral allergy syndrome sufferers that take high blood pressure medications may experience extreme facial swelling and difficulty breathing the next time they bite into a juicy apple. 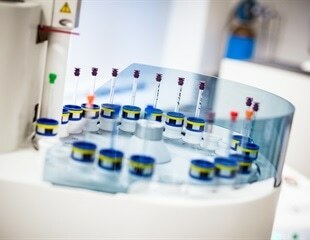 In a world first, scientists from the Institute of Food Research (IFR) on the Norwich Research Park have been test-driving a prototype instrument that promises to revolutionise access to a potent laboratory analysis technique called NMR (Nuclear Magnetic Resonance). Scientists are reporting development of a healthy "designer fat" that, when added to infant formula, provides a key nutrient that premature babies need in high quantities, but isn't available in large enough amounts in their mothers' milk. The recall is for five batches of Heritage-brand Belgian Milk Chocolate Egg with chocolate truffles in a 270-gram package, sold exclusively through Coles supermarkets. The product contains almond, hazelnut and gluten, but these ingredients are not listed on the package due to a labeling error. Food safety lawyer Fred Pritzker is calling on DeFranco & Sons, a Los Angeles, California wholesaler to pay medical bills and other costs incurred by victims of the multi-state E. coli O157:H7 outbreak associated with eating in-the-shell hazelnuts, also known as filberts. With the start of a new year, many of us resolve to better our habits by trying to incorporate more nutritious foods into our diets. An article in the January issue of Food Technology magazine lists 14 foods that deliver research-documented benefits to health. Today, at the 2010 Annual Meeting of The American Academy of Allergy, Asthma & Immunology (AAAAI) Phadia, the world leader in in vitro allergy diagnostics, announced plans to provide access for specialists to peanut allergen components. These plans support Phadia’s goal to expand collaboration with allergy and immunology specialists in order to advance the understanding of the clinical utility of allergen component test results. In a new study led by the University of Michigan Health System, women more than doubled their fruit and vegetable intakes and dramatically increased their consumption of "good" fats when they were counseled by registered dietitians and provided with a list of guidelines on the amount of certain foods they should eat each day. Progress has been made in food allergy prevention and management according to investigators presenting the latest research at the Annual Meeting of the American College of Allergy, Asthma and Immunology (ACAAI) in Dallas. Important research findings may impact diet restrictions of food allergic patients. Researchers from University College London have found compelling evidence for the first time to link food intolerances and serious illness.